The new Goosebumps film inspired by the classic R.L. Stine books has been scheduled for release this October for some time, and now we know it will also take place during our favorite holiday, with the title officially revealed to be Goosebumps: Haunted Halloween. The announcement video posted on social media late Monday night also features the return of the iconic evil puppet Slappy, and the new subtitle confirms that it is a Halloween-themed movie, while also suggesting that the Haunted Mask will likely (hopefully) be featured in this sequel. The film stars Madison Iseman (Tales of Halloween), Wendi McLendon-Covey, Chris Parnell, and Ken Jeong, directed by Ari Sandel. Jack Black will once again provide the voice of Slappy, though it is unclear at this time if he will also be playing Stine, as he did in 2015’s Goosebumps movie. 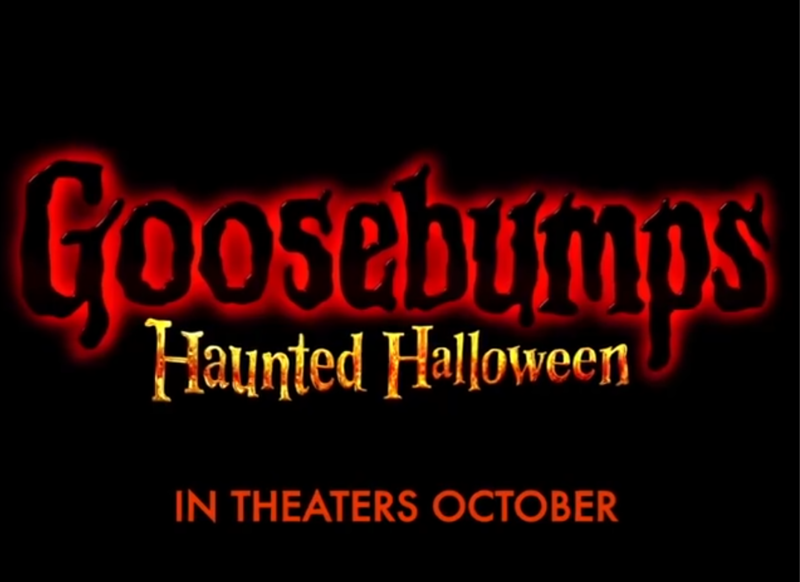 Goosebumps: Haunted Halloween arrives on theaters on October 12. You can check out Slappy’s official announcement video below. ← Michael Myers Returns in ‘Halloween’ 2018 Teaser Poster!